Comp Cams Shaft Mount Valve Spring Compressor turns a tuff job easy. Simply bolt the tool shaft in place of the rocker shaft, place tool feet over retainer, slide on the handle and pull down to compress the spring. Remove the valve locks, flip the tool out of the way and remove the spring! It's that easy! 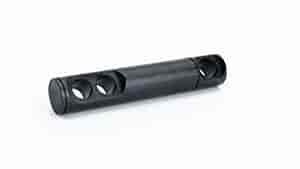 5325 - Comp Cams Shaft Mount Valve Spring Compressor is rated 1.0 out of 5 by 1.